 On 23rd August, 4th Day of ‘Induction Program’ in PDM University, the fresh and promising students of New Academic Session were addressed in an interactive session on Career Opportunities in Changing World and Motivational Talk for their better understanding for better future. 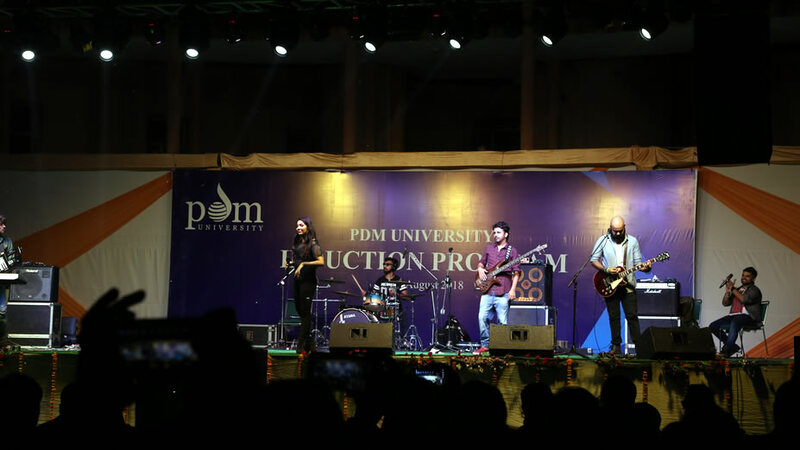 And in the evening, the all new students felt homely atmosphere and enjoyed a lot with Live Band performance of prominent group Band Zikrr. The fourth day was started with Motivational Talk entitled ‘Road to Success’ delivered by Mr. Dheeraj Madhu Ranjan. He told students that failures will come in the way to success however instead of being depressed, if they are able to keep an eye on their goal and destination, then they will surely achieve success. He said that three things namely Knowledge, Attitude and Skill Development are very important for success. And it cannot be achieved in one day. He said that Time is money and students should respect and value of time. Training and Placement Officer of PDM University, Mr. Raju Tyagi also addressed the students on Career Opportunities in Changing World. He briefed on various possibilities and demand of corporate sector for placements. He emphasized on Practical and in-depth Knowledge, Excellent Communication Skills and Positive Mental Attitude. He gave important tips for interview also. In the afternoon, quiz and debate competitions were also held for the new students who participated with an excitement. The first position in debate competition was secured by Aniruddh student of B.Sc. (General) course. The team ‘F’ from Humanities and Social science won the quiz competition. Apart from that, the senior students also performed in a stand-up comedy show which was greatly liked by all new students. At the end of the day, in the pleasant evening, the live performance of prominent and leading Sufi Rock Band of Delhi NCR ‘Zikrr’ created sensation with melodious Bollywood and Sufi lyrics. Vidhi Tyagi and team presented the fantastic combination of ‘Divinity’ and ‘Groove’ to the audience. Really, this was an unforgettable experience for some of new students to enjoy the Live Musical Band.